Pre-formed molded foam Tracheotomy collar provides support for both extrication and rehabilitation. XS = 7"-10"; S = 10"-13"; M = 13"-16"; L = 16"-19" Height=Sternal notch to chin. Any type of mild detergent can be used to clean your brace. Hey, I have bulging cervical discs at c4-c5, c5-c6, and c6-c7, Running is my favorite exercise and I was wondering if I wore a neck brace could it help me get back on the road to running? 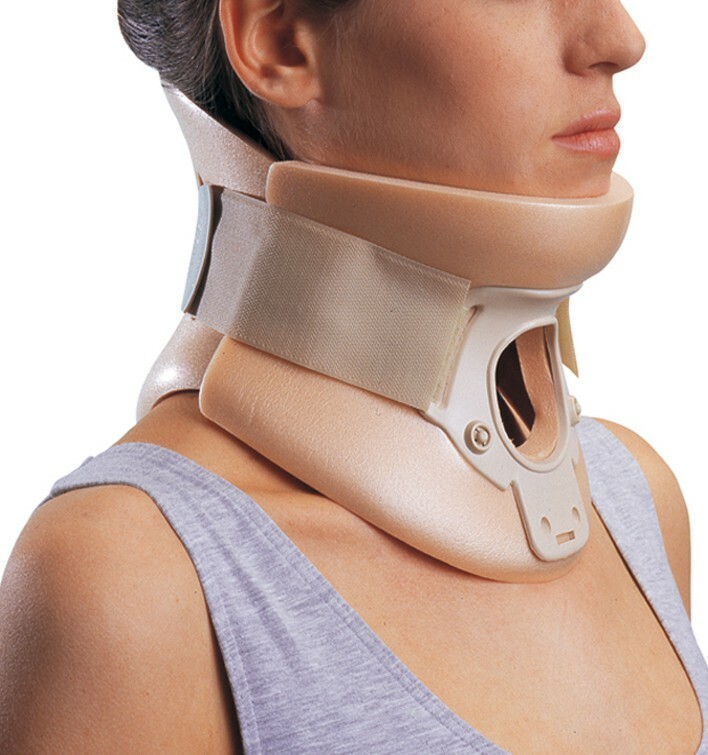 Would it support my neck enough to lessen the jarring motion? If so, which one would you suggest? The ProCare California Tracheotomy Cervical Collar is designed to support the cervical spine through those regions but not necessarily designed for sport activities. For this you will have to consult your physician to see if he feels this brace would be appropriate for your specific injury and the activities you would like to do. I recommend printing out the pertinent information from the web-site and taking it to your physician to discuss whether or not it is appropriate. is this particular neck brace water proof or should it be removed for showering? The California collar can be worn in the shower, but should be completely dried off afterwards to prevent skin maceration. If you want to remove it for showering, please ask your doctor first to make sure that is ok. The sternal notch is the bony prominence on the color bone located right below the throat.